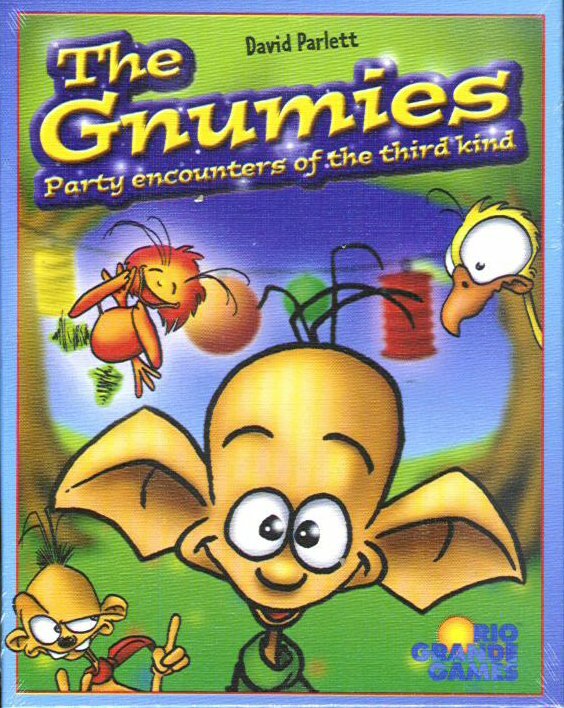 Gnumies are several races of alien space-faring creatures who love to party. They have parties as often as possible and invite all their friends, but try to avoid having certain party-crashers as guests. Getting families to come gives players extra points, but allowing gate-crashers in, loses points. Of course, certain guests have special powers which can help or hinder players in their search for the best party. In the end, the player with the best party guests earns the most points and wins the game.